Make Your Louisville Home for Sale "Show ready"
You can't change a first impression. 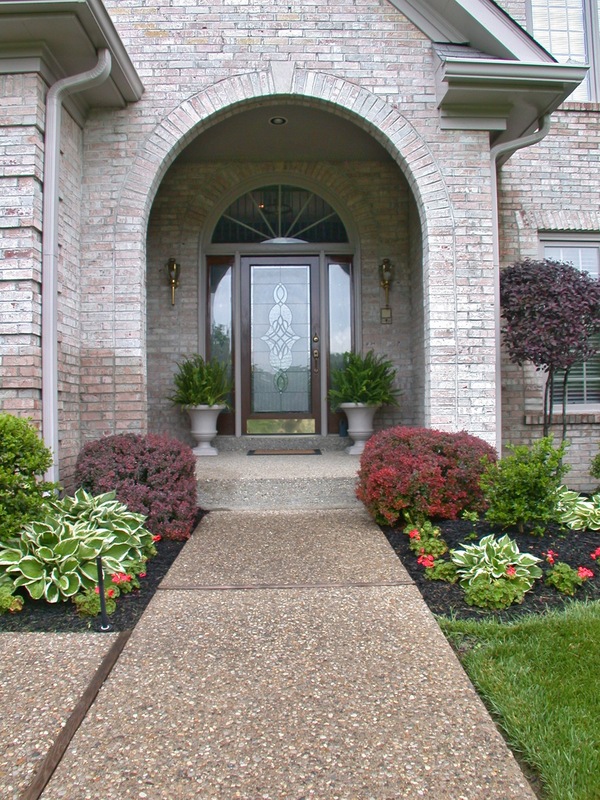 Tidy your front entrance and ensure that it feels welcoming. Make your front door stand out. Apply a fresh coat of paint or replace your door if it is faded and worn. Brighten and remove signs of wear by painting shutters, trims and other outside features. Have your carpets professionally cleaned or replace them if necessary. Provide a fresh coat of paint in a neutral color to brighten walls. Keep all windows and floors clean. Repair any minor flaws such as scuffed or worn woodwork, sticking doors and windows, etc. Clean light fixtures and light switches. Replace any lightbulbs that have burned out. Repair any unsealed caulking around bathtubs and showers. Open blinds and pull back curtains to allow for natural light to come in for each showing. Eliminate unnecessary clutter from storage spaces such as attics, basements and closets. This will enhance the area and allow buyers to see the potential for storing their own items. Consider conducting a garage sale or getting temporary storage to purge items from the home. Streamline the belongings in each room and remove any unnecessary furniture. Light a candle to make the room smell good. Show Your Home in the Best Light Possible. Use table lamps and accent lighting rather than overhead lighting which can wash out a room and make it feel lifeless. Strategically use lamps to make smaller rooms appear larger and larger rooms appear more intimate. Use lighting to "point out" features such as alcoves, fireplaces or custom details. Use lighting to highlight the "living areas" of your home, such as a pair of chairs near a fireplace, or a table in a breakfast area. Keep only decorative items on furniture throughout the home. Limit yourself to groups of 1, 3 or 5 decorative items; do not use personal pictures. The goal is to create an environment in which the buyers can imagine themselves and their belongings in the home. Remove every unnecessary item from your kitchen counter. Remove everything from your refrigerator door. Review the house room by room. Paint any room needing paint, clean carpets or drapes that need it, clean windows. Leave on certain lights during the day. During showings, turn on all lights and lamps. Have light instrumental music playing for all viewings. Look at all plants, prune bushes and trees. Keep plants from blocking windows. "You can't sell a house if you can't see it." Weed and then mulch all planting areas. Keep lawn freshly cut and fertilized. Remove any dead plants or shrubs. Clear patios or decks of all small items, such as small planters, flower pots, charcoal, barbecues, toys, etc., and put them in the garage. Check paint condition of the house, especially the front door and trim. "Curb appeal really works!" Do your best to see your home through the eyes of a potential buyer. Time or money spent on the items above will bring a faster sale with a higher sales price. It's inevitable. From time to time, you will receive a request for a showing to take place in the next few minutes. Don't panic. "Take 10" to check the items off the following list to ensure for a smooth and successful showing. Sound: Make sure that all televisions are turned off. Lightly play instrumental music throughout the home if possible. Sight: Turn on all lights and every lamp, open the blinds and pull back the curtains (day time only). Odors: Light a candle (blow it out before you leave) or pre-heat the oven and put a pan with a few drops of vanilla inside (turn the oven off before you leave). Kitchen: Wipe down every counter and put all dirty dishes in dishwasher. Bathrooms: Wipe counters, put any dirty clothes in hamper, close shower curtains, flush and close toilets. Living/Family Rooms: Organize remote controls, hide magazines, newspapers and games; remove clutter. Goodbye: Sorry, but this is the single most important thing you can do in a showing to help sell your home! Even if the showing agent insists that it is okay to stay, you must leave. Buyers must get emotionally committed to your home to buy it and they cannot become emotional about "their new home" if you, the current owners, are hanging around. Please, at the very least, go into the backyard. Even better, go to the store.